Heilind’s upcoming Fair and Tech Expo will provide a forum for attendees to interact with representatives from some of the top manufacturers in the electronic components industry. Heilind Electronics, a leading global distributor of electronic components, will be hosting its Fair and Tech Expo on September 13 in San Jose, California. Back by popular demand, the Expo will feature over 70 component suppliers, providing attendees the opportunity to interact directly with representatives from some of the top manufacturers in the electronic components industry. 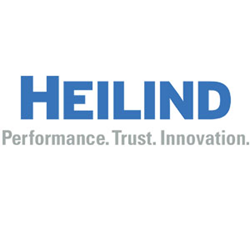 Heilind supports all market segments with its commercial and MIL-SPEC interconnect, electromechanical and sensor offerings. Suppliers presenting at the Heilind Tech Expo include 3M, Amphenol Aerospace, HARTING, HIROSE, JAE, Molex, Omron and TE Connectivity. The event will take place at the Heilind Office in San Jose, California, with free admission for all attendees. For details and to register, visit http://www.heilind.com/2018techexpo.